Hand blown and sculpted into a delicate pear, these glass oil lamps are a treasure to give. OUT OF STOCK: Sorry, we are currently sold out of the 'Perfect Pear Glass Oil Lamp*'. If you have further questions, please call our customer loyalty team at 1-800-793-3924. 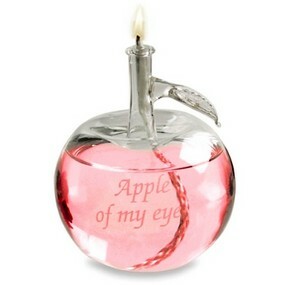 Bring a touch of old world elegance to life and keep it burning bright with our marvelous Perfect Pear Glass Oil Lamp! Exclusive to Hanson Ellis, these gorgeous hand blown glass lamps are ready filled with a wonderful scented oil to bring a taste of elegance to any special event or big party! 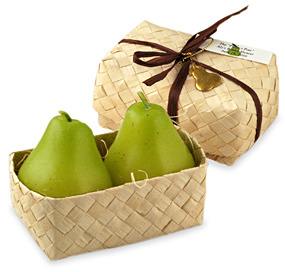 Each pear holds three to four ounces of oil and will keep burning all night long, letting your guests and loved ones know how much light they bring into your life. Use these fabulous oil lamps as a center piece, or even as special gifts for your guests. Whether it�s for a tropical party, or an elegant evening in, these lovely Perfect Pear Glass Oil Lamps will help keep the night bright and joyful. Send them home with guests to keep the memory of your event or big day burning bright for years to come! Or even bring these great lamps home for a whimsical addition to your own collection! 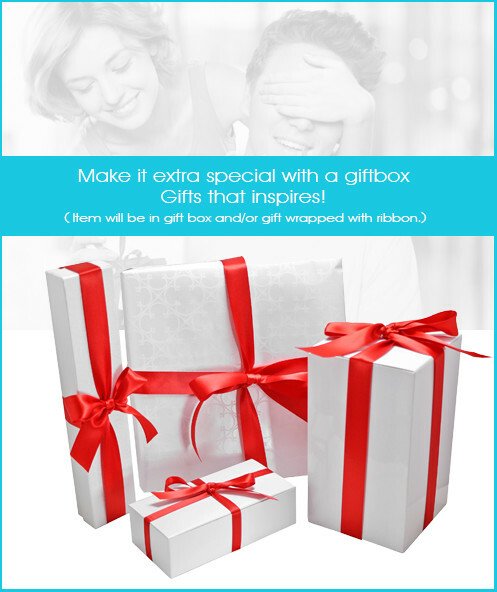 Make sure to add on a gift box to make this gift an extra special one! Let your guests send you their fondest wishes on your big day, and keep in perfect theme with these fabulous little lamps as you do with our The Perfect Pear Wish Jar! Or maybe you�d like to add an apple to your center piece! With our wonderful Apple Of My Eye Glass Oil Lamp you can do just that, and keep perfectly with your colored theme by adding in your own oils! Or maybe you�re looking for something to help spice up the night at your party. With our Mini Genie Lamp Incense Holder you can do all that and help make your wish of having a perfect event come true! 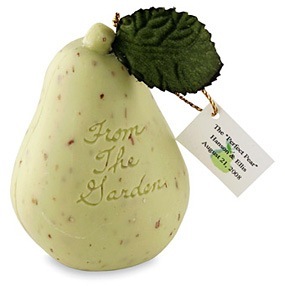 Find these and other fantastic gifts under our Garden & Flower Favors section! Please note: colored oils are not included with lamps.